Hatoyama is under fire in the media again. This time for his dubious dress sense. As if embattled Prime Minister Yukio Hatoyama didn’t have enough to worry about. He’s now getting slammed for his fashion sense. Pink jackets and shirts adorned with heart motifs are among Hatoyama’s back catalogue of fashion faux pas. 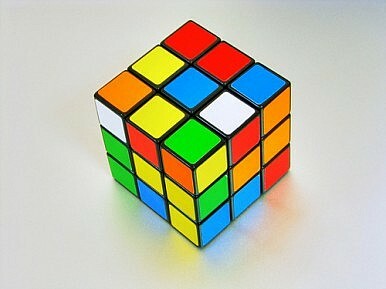 But the latest offending sartorial item is a hideous check shirt with the colour scheme of a Rubik’s Cube. Japanese fashion designer Don Konishi, who lambasted Hatoyama for wearing the ghastly garment in a Japanese magazine, told CNN this week that the shirt worn by Hatoyama at a meet-and-greet barbecue in April was symbolic of a prime minister who is old and out of touch. The unfortunate garment does indeed fit in with the characterization of Hatoyama as a bumbling ex-prof who can’t even make up his mind about what colour to wear. But it’s not as if he was dressed like this while meeting the president of the United States or the Queen of England. While this and other items in the prime minister’s wardrobe raise a smile, let’s give the man a break and judge Hatoyama on his political record (which is precarious enough as it is).